1985619562 07 Dec 2015 08:58 Arena Gaming . Tusk Shadow Fiend Gyrocopter Visage Nyx Assassin Night Stalker Slardar Tiny Juggernaut Clockwerk Unknown Dire Team Bane Queen of Pain Earthshaker Alchemist Lina Undying Doom Dazzle Dark Seer Batrider Arena Gaming . 1976211047 03 Dec 2015 11:12 Team Braveheart Winter Wyvern Slardar Queen of Pain Ursa Disruptor Tusk Doom Ember Spirit Ancient Apparition Anti-Mage Arena Gaming . Night Stalker Undying Alchemist Lina Batrider Shadow Fiend Tiny Gyrocopter Dazzle Lion Arena Gaming . 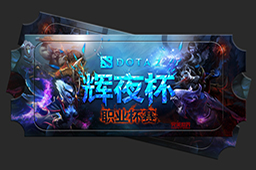 1976093270 03 Dec 2015 09:56 Arena Gaming . Night Stalker Undying Viper Batrider Ember Spirit Tusk Doom Gyrocopter Slardar Beastmaster Team Braveheart Bane Tiny Dazzle Phantom Lancer Phoenix Shadow Fiend Winter Wyvern Queen of Pain Juggernaut Bristleback Arena Gaming .